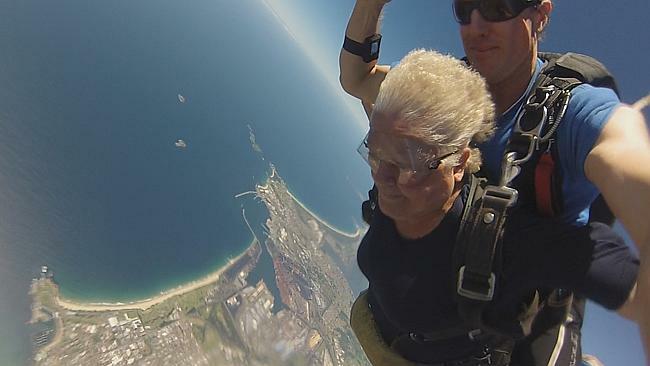 YOU’RE never too old to be adventurous and ticking things off your bucket list.With the help of family members, Kellyville’s Paul and Lyn Conlon, who are 69 and 70 years old respectively, travelled to Wollongong to do a tandem skydive. The couple jumped out of a plane, free falling at 200km/h before their parachute was ejected and gave them an amazing view of the south coast. This entry was posted in Uncategorized on February 20, 2014 by The Woman Hood.